Some snacks may be low calories as well as not containing many nutrients to keep you feeling satisfied like fiber and protein. 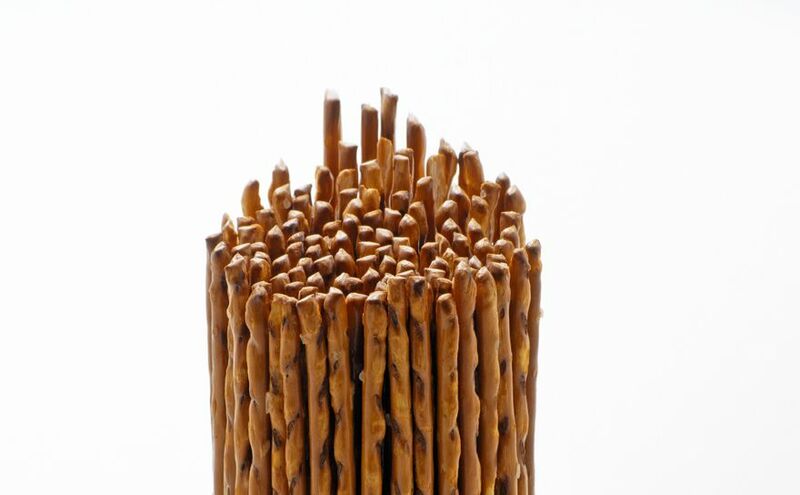 Many snacks based on grain fall into this category, including pretzels. Pretzels are not the most nutrient dense snack. Pretzels are defined by whatever extra flavor and dips they have that accompany them. For example, pretzels which are flavored with cinnamon or sugar that are generally called the sweet varieties, are bad for health, as are those pretzels that come with savory dips like honey mustard and even barbecue dips. Pretzels are already very high in carbs, sodium and calories, so adding on extra flavor by way of sweetening or serving them with additional dipping sauces is just going to exacerbate the problem of unhealthy pretzels. In fact, the nutritional value of eating pretzels is basically none, as they have no nutrients or any vitamins that are good for you. You are eating pretzels only for their taste. 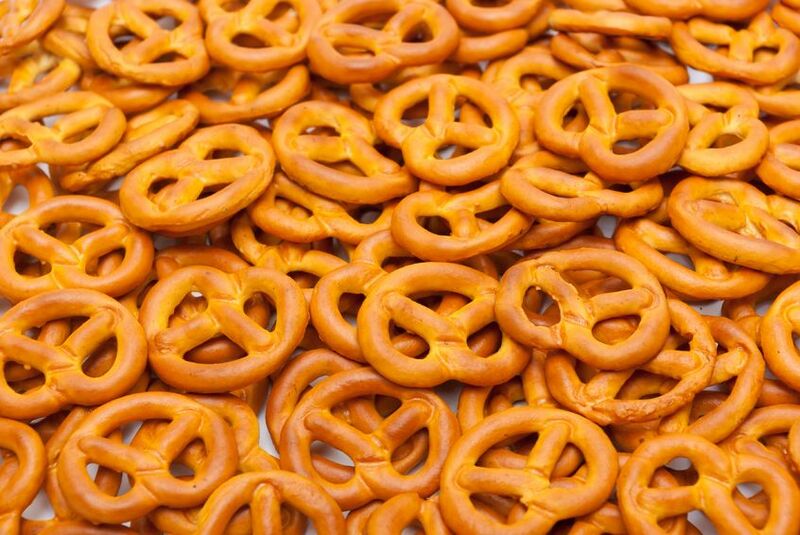 Pretzels are the go-to snack food for school kids. They are low in fat: a serving of pretzels contains one gram of fat, compared to potato chips’ 10 grams. This snack also has little or no saturated fat. The unsaturated fat found in pretzels has positive effects on blood cholesterol, unlike saturated one, which increases LDL or so called bad blood cholesterol. The fact that pretzels are low in fat, contributes the other fact they are relatively low in calories, with approximately 109 calories in a one serving. Pretzels are not a rich source of protein, with only about 2.5 g in a one serving. This is approximately 4 percent of the total daily protein a 149 lb. anyone needs. If you are controlling your weight, select snacks that contain some protein, as protein can hold food in your stomach for a long period and stave off hunger. As long as pretzels are low in protein, they definitely will leave you feeling hungry soon after you finish eating them. 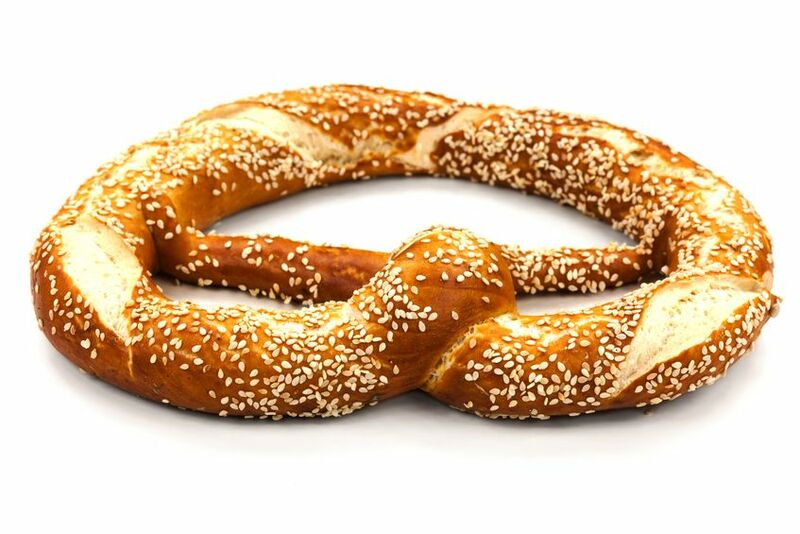 The main source of energy in pretzels comes from carbs, with approximately 24 g in one serving, or about 9 percent of the daily value based on an average calorie diet. Pretzels also are poor in fiber, with about 0.9 g in one serving. In order to stay full between your meals chose foods that are high in complex carbohydrates like fiber, rather than simple carbs. Pretzels contain mostly simple ones, unlike some types of granola bars and trail mix. Some brands of pretzels do contain a few essential minerals and vitamins; one serving may contain up to 9 percent of the daily value of thiamin, 9 percent of niacin, 5 percent of folate and 8 percent of riboflavin. Note that pretzels do contain a lot of sodium, with 285 to 485 mg in one serving of pretzels, or 13 to 22 percent of the daily value. As experts suggest sodium intake should not exceed 2,399 mg a day.